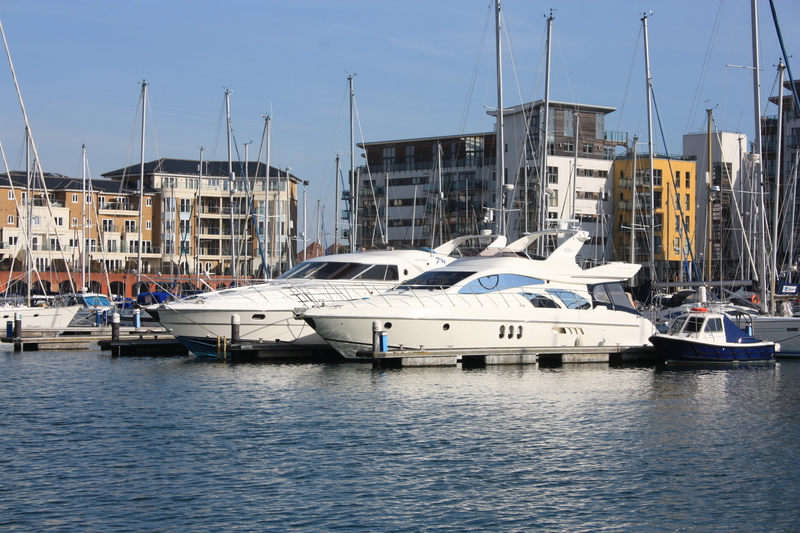 Sovereign Harbour proclaims itself as “northern Europe’s largest composite marina complex”. It seems to me that most of these words are caveats of some form or another, carefully designed to frame a statement so that it is technically correct. 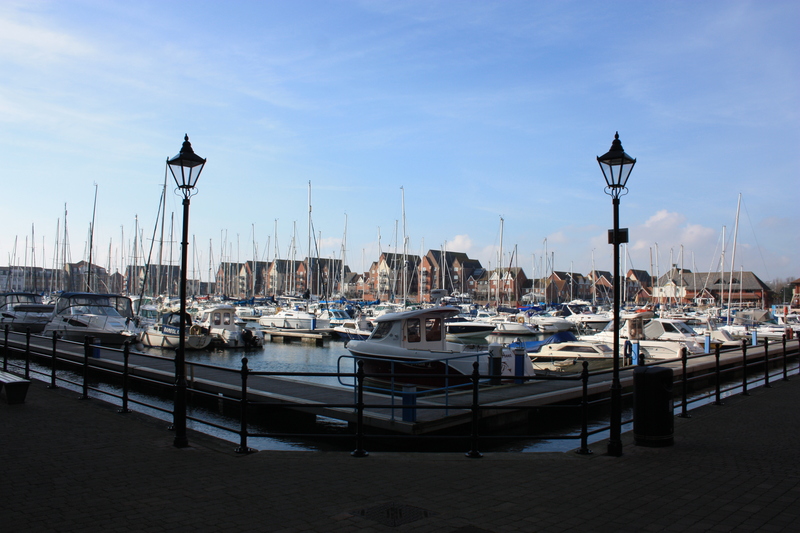 Still, it is fair to say that Sovereign Harbour is quite big. 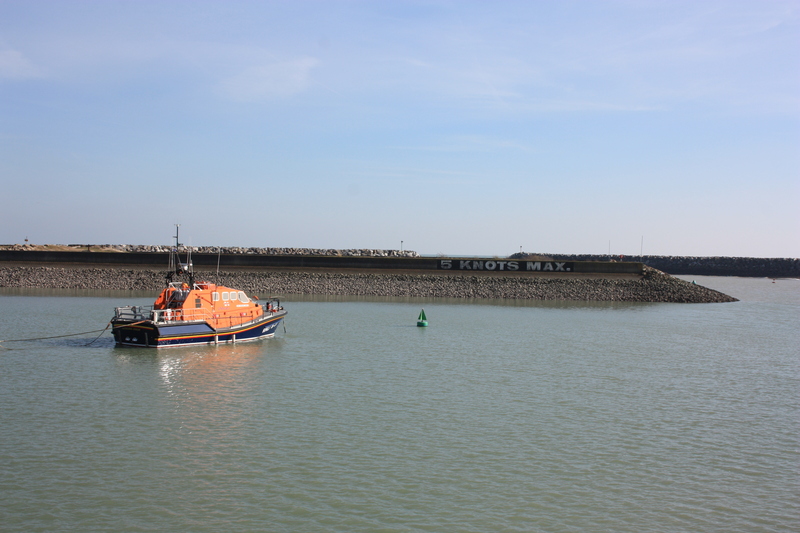 The front part was largely empty during our visit, occupied only by a lonely lifeboat. We walked through to one of the two marinas behind and ate our lunch at “The Waterfront”, a small cluster of restaurants and shops. It seemed to be rather an expensive area. Some of the boats moored here were quite impressive. After lunch we continued on our way, through the harbour and back out to the coast. At the far southern side there was building work going on. “You should have been here earlier,” said one of the workmen. “We had a seal here this morning”. He told us that there was a friendly seal who frolicked around in the front section of the harbour quite regularly, but that early morning was the time to catch a glimpse. Really early morning – the sort of time when we would still be drinking coffee at the Coastal Path Base in London. 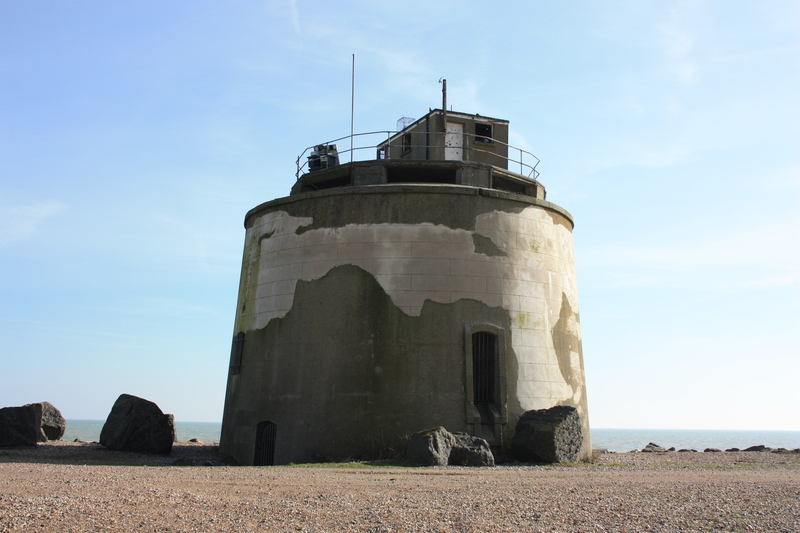 We carried on, reaching the southern harbour arm, guarded by Martello Tower #66. It looked as if it had been painted with camouflage colouring as we approached, but in fact it was simply that the outside render was in poor repair. This entry was posted in East Sussex and tagged coast, East Sussex, eastbourne, marina, Martello Tower, sovereign harbour, travel, walking. Bookmark the permalink. Is there a way for your map to show how far you’ve traveled from when you very first started walking to now, instead of just one leg of the journey?